The Battle of Saragarhi is considered one of the greatest stories of collective bravery in human history. 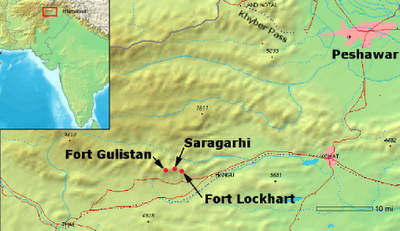 The contingent of twenty-one soldiers from the 36th Sikhs was led by Havildar Ishar Singh, and held off an Afghan attack of 10,000 men for several hours. 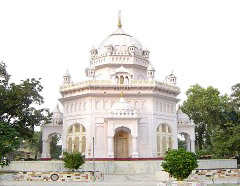 All 21 Sikh soldiers chose to fight to the death instead of surrendering. In recognition of their supreme sacrifice, the British Parliament rose to pay them respect, and each one of them was awarded the Indian Order of Merit (equivalent to the Victoria Cross). The battle has been compared to the Battle of Thermopylae, where a small Greek force faced a large Persian army of Xerxes (480 BC). The unique battle is also taught in schools of France and figures as one of the eight collective stories on bravery published by the UNESCO. The Indian military, in particular the Indian Army have been pushing for the battle to be taught in India’s schools. They want it taught due to the heroism shown by the Indian soldiers to acts as inspiration for young children – in the field of bravery. 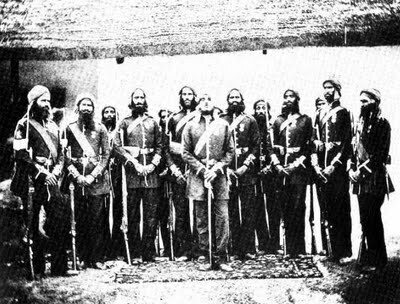 Men of the Loodiaah (Ludhiana) Sikh Regiment in China, Circa 1860. 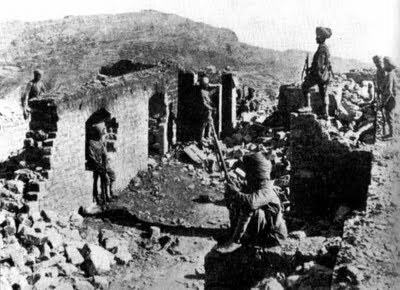 The ruins of the Saragarhi signal post – Havildar Ishar Singh and his 20 men of the 36th Sikhs. Circa 1887. But the fact remains same : they may change history books twice in every government but forget to acts of bravery which make our nation and its generations proud !!!! !